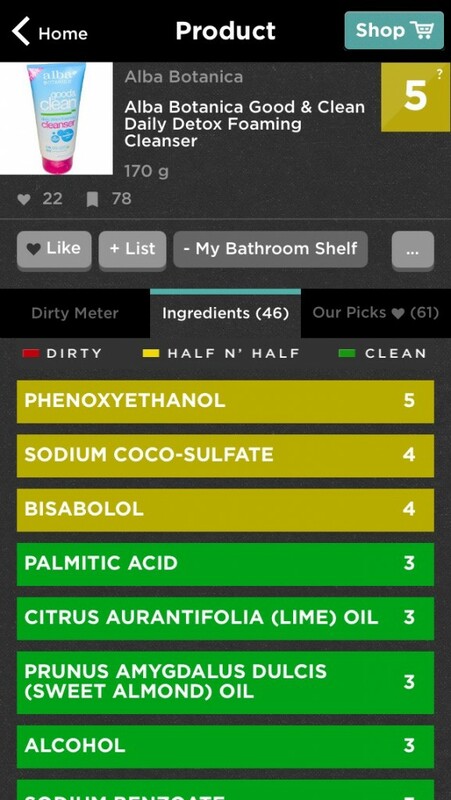 Eliminating nasty toxins from your home requires following two simple rules: think dirty, shop clean. Before you let your mind wander, let me clear things up for you. 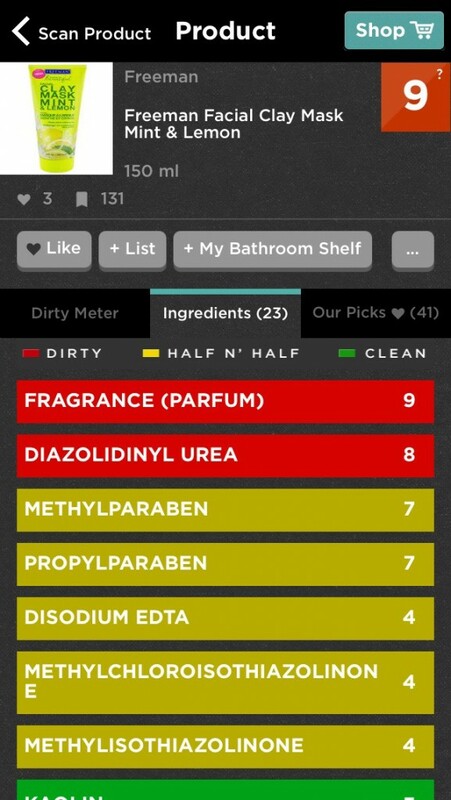 In partnership with San Francisco-based Breast Cancer Fund, Think Dirty® is an ingenious smartphone app that was created to empower consumers, giving us a useful tool for choosing what does – and doesn’t – belong on our bathroom shelves. 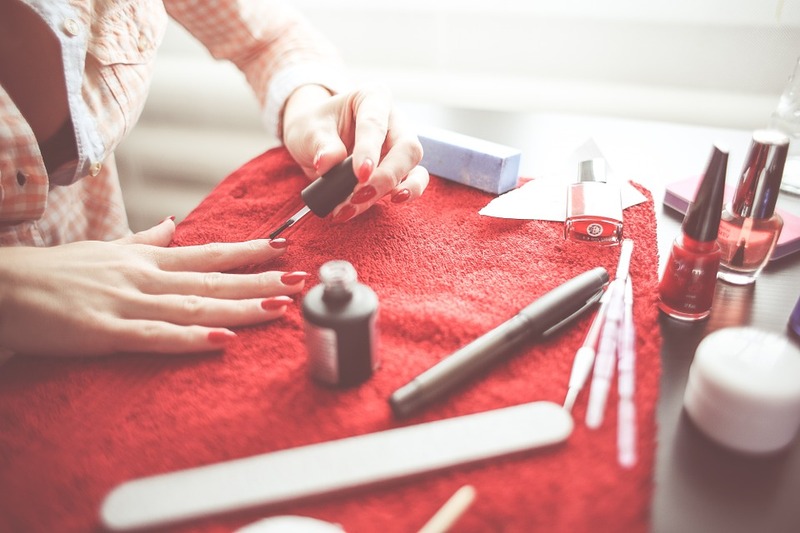 Cosmetic, beauty, and household products are often manufactured using “quick, cheap, and dirty” methods and are chalked full of chemicals that are highly toxic. 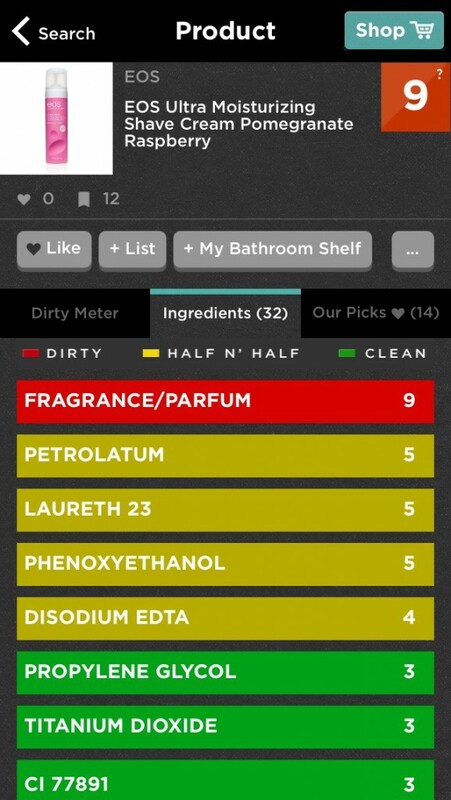 According to the creators and researchers behind Think Dirty®, many commercial products contain ingredients that are known carcinogens – elements have been clinically linked to cancer. Yikes! I’m not a scientist and won’t pretend to be one, but I do know that I don’t want to be slathering my skin or brushing my teeth with those kinds of toxins. 1 – 3: Clean! The product does not contain any ingredients which have a documented potential negative health impact. 4 – 7: Caution! The product’s ingredients have potential moderate negative long term health effects. 8 – 10: Stop! The product’s ingredients have potential serious negative long term health effects and contain a moderate-to-conclusive level of carcinogens. Some of my staples, such as my deodorant and toothpaste, ranked in the the 9-to-10 range (as I expected they would), so they got immediately chucked and replaced with cleaner counterparts. You can imagine my surprise when some of these items I previously thought were clean turned out to be hideous lurkers. I’ve become obsessed with scanning everything and anything in the vicinity of my iPhone. I’m not here to tell you what to do or to suggest you tear into your bathroom and trash every product on the shelf. What I do want to encourage you to do is educate yourself. 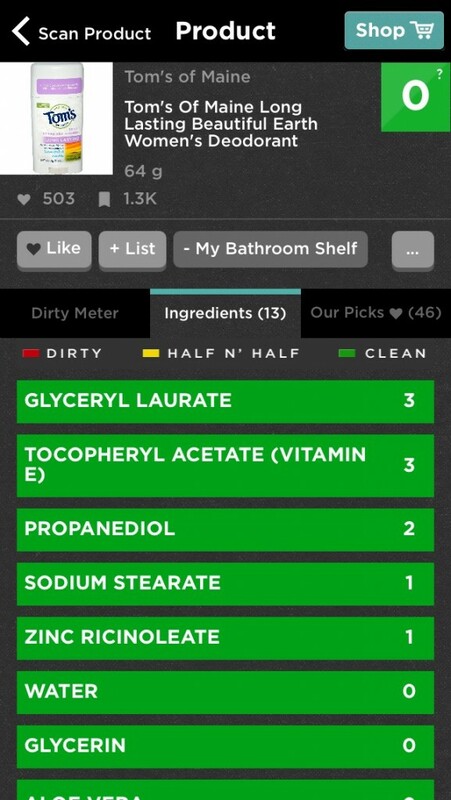 Review Think Dirty®’s methodology and, like anything in life, take it with a grain of salt. Remember that only you are responsible for the decisions you make, the purchases you bring home, and what you put in or on your body. Educate yourself and look for new ways to care for yourself and your family. If you want to learn more about Think Dirty®, you can find them online. The smartphone app is available for iPhone and is in beta for Android.